ASTRALCOM Helps Gehan Homes Launch New Luxury Division Website | ASTRALCOM - Content Strategy, Conversion Marketing and Customer Acquisition. (Lakewood, CA – June 18, 2015) – ASTRALCOM, LLC today announced that they had completed and launched a new website for Gehan Homes’ Estate Series line of new homes. Estate by Gehan Homes is a division of Gehan Homes dedicated to designing and building highly-customizable, luxury residences in carefully selected communities. Estate by Gehan Homes was built on the cornerstones of the Gehan Homes brand promise of building the highest quality homes, implementing the latest architectural innovations, offering uniquely personalized designs and providing a superior and professional buying experience. The new website elegantly displays each community, elevation, floorplan and details while delivering an intuitive and artful visitor experience across desktop, tablet and mobile phone devices. “From a technical standpoint, the website is built to allow Gehan Homes’ staff to update and maintain the site’s content easily,” explained Richard Bergér, VP of E-Business at ASTRALCOM. 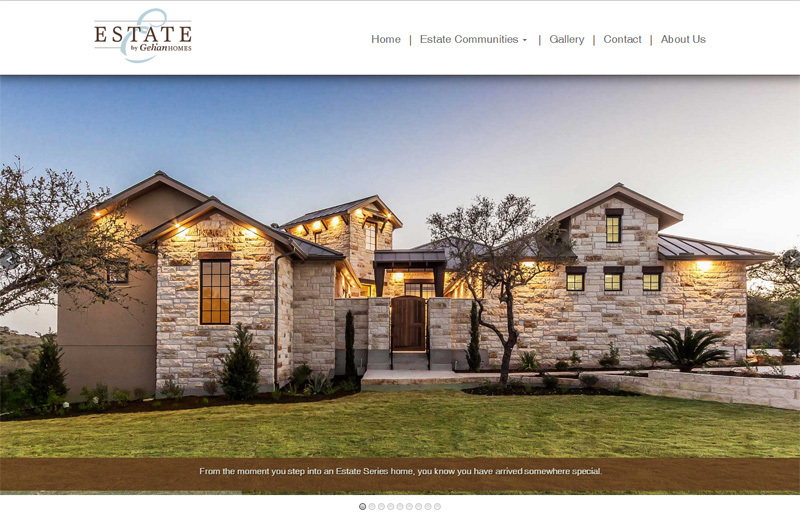 “We were able to do some very cool things with data syndication and display that allowed Gehan Homes to continue to utilize their existing main content management system. That helped save time and money,” added Mr. Bergér. “This is ace work. Big thanks to everyone at ASTRALCOM,” said Christopher James, Digital Marketing Manager at Gehan Homes. Visit Estate by Gehan Homes at www.estatebygehanhomes.com. About ASTRALCOM® ASTRALCOM Integrated Media Services (https://www.astralcom.com) is an Integrated Media Services Organization that develops and implements strategic solutions using web, search, social, mobile, content and print tactics and is a multiple award-winning business named as one of the Top 10 Most Dependable Design Firms in California. You Know That We Know That You Know We’re Following You Around, Right?